Johan Rockström is Director of the Potsdam Institute for Climate Impact Research and Professor in Earth System Science at the University of Potsdam. Rockström is an internationally recognized scientist on global sustainability issues, where he led the development of the new Planetary Boundaries framework for human development in the current era of rapid global change. He is a leading scientist on global water resources, with about 25 years of experience from applied water research in tropical regions, and more than 150 research publications in fields ranging from applied land and water management to global sustainability. Aside from his research helping to guide policy, Rockström consults several governments and business networks. He also acts as an advisor for sustainable development issues at noteworthy international meetings, such as the World Economic Forum, the United Nations Sustainable Development Solutions Network (SDSN) and the United Nations Framework Convention on Climate Change Conferences (UNFCCC). Supplementary, he chairs the advisory board for the EAT Foundation and the Earth League. Johan Rockström leads the ERA project, a European Research Council advanced grant, carried out as a joint project between the Potsdam Institute for Climate Impact Research (PIK) and the Stockholm Resilience Centre (SRC). Without global-scale social transformations, there is a real risk of crossing tipping points in the Earth System, triggering abrupt and irreversible changes. Although we are aware of the importance of nonlinear social and biophysical dynamics, we remain trapped in linear thinking. The goal of the ERA project is to explore the biophysical and social determinants of the Earth’s long-term stability, and in the process building up a novel community-modelling platform for analysis of nonlinearity and abrupt shifts, and informing global sustainability policy processes. Johan Rockström leads the international research network advancing the planetary boundaries framework, together with the core research hubs at SRC (led by Sarah Cornell) and PIK (led by Jonathan Donges). This research ranges from Earth system modelling of interactions among planetary boundaries, to transformation scenarios for world development within planetary boundaries (connected to TWI2050, see below). It also includes projects aimed at operationalising the planetary boundaries framework (e.g., in New Zeeland). This project emerged from the Global Commons Initiative, spearheaded by six principals: the Potsdam Institute for Climate Impact Research (PIK), under the leadership of Johan Rockström, together with the Global Environment Facility (GEF), the World Economic Forum (WEF), the World Resources Institute (WRI), the International Union for Conservation of Nature (IUCN), and the International Institute for Applied Systems Analysis (IIASA). The Earth Targets Initiative was developed by the Global Common Initatiative with the strategic objective of advancing and science based targets (SBTs) for the Earth system. The SBTs address world development within Planetary Boundaries, developed in consultation with multiple stakeholders, to be adopted by the business sector, cities, nations, sectors. This initiative is supported by a wide network of partners, in which PIK plays a central role, and includes Future Earth, We Mean Business and WWF. One aspect of the "SBTs for the Earth system" initiative is the suggestion to set up an international science panel to carry out the first global assessment of scientific targets for a safe operating space on Earth: an Earth Commission. The Earth Commission will be hosted by Future Earth, with PIK and IIASA as scientific support institutions. It will be run in a similar way to the "Lancet Commission", where an independent scientific commission and is expected to produce a scientific report within 24 months. The TWI2050 initiative, launched by the Sustainable Development Solutions Network (SDSN), the Institute for Applied Systems Analysis (IIASA) and the Stockholm Resilience Centre (SRC), involves a over 70 partners and contributors from a wide range of disciplines, including the Potsdam Institute for Climate Impact Research (PIK). The overall objective of TWI2050 is to explore sustainable development pathways (SDPs), using sustainable transformation scenarios, of how to achieve the SDGs whilst remaining within Planetary Boundaries by 2030, and against a backdrop of continuing world development by 2050 and beyond. This should ultimately provide much needed information and guidance for policy makers responsible for the implementation of the SDGs. The EAT Foundation is an independent, non-profit organization based in Oslo, Norway and was founded in 2013 by the Stordalen Foundation, the Wellcome Trust and Stockholm Resilience Centre. EAT promotes integrated research for healthy and sustainable diets and food systems that contribute to attaining the SDGs and the Paris Climate Agreement. Johan Rockström is a member of the Board of Trustees and chairs the EAT Advisory Board, which provides strategic advice on the organization’s research priorities, activities and long-term strategy. Together with Walter Willett, Johan co-chaired the EAT-Lancet Commission, which brought together more than 30 world-leading scientists from across the globe to reach a scientific consensus on what defines a healthy and sustainable diet. In January 2019, the commission launched the EAT-Lancet Report, which describes how a planetary health diet could feed 10 billion people healthily within our planet’s boundaries. This project – funded by FORMAS, the Swedish research council for sustainable development – started in early 2019. Johan Rockström is the principal investigator collaborating with Dr. Ingo Fetzer from SRC, Prof. Malin Falkenmark from SIWI and researchers from the US Geological Survey as well as from PIK. Sub-Saharan Africa, where malnourishment, poverty and population growth are the highest in the world, is subject to extreme water variability and scarcity. This project aims to explore how much green water (rainwater stored in the root zone of soil) is required to achieve the Sustainable Development Goals until 2030 (extended to 2050), and how much is available under different climate scenarios. The project makes use of a green-blue water framework model, in combination with an integrated biosphere model. It also explores management potentials and strategies to secure green and blue water for food (building water resilience), while maintaining the capacity of landscapes to both provide ecosystem services and generate moisture feedback. Falkenmark, M., Wang-Erlandsson, L., Rockström, J. 2019. Understanding of Water Resilience in the Anthropocene, J. Hydrol. X 2, 100009. Full reference: Vanham, D., A.Y. Hoekstra, Y. Wada, F. Bouraoui, A. de Roo, M.M. Mekonnen, W.J. van de Bund, O. Batelaan, P. Pavelic, W.G.M. Bastiaanssen, M. Kummu, J. Rockström, j. Liu, B. Bisselink, P. Ronco, A. Pistocchi, G. Bidoglio. 2018. Physical water scarcity metrics for monitoring progress towards SDG target 6.4: an evaluation of indicator 6.4.2 "Level of water stress", Science of the Total Environment 613: 218-232. Full reference: Steffen, W., J. Rockstrom, K. Richardson, T. M. Lenton, C. Folke, D. Liverman, C. P. Summerhayes, A. D. Barnosky, S. E. Cornell, M. Crucifix, J. F. Donges, I. Fetzer, S. J. Lade, M. Scheffer, R. Winkelmann, H. J. Schellnhuber. 2018. Trajectories of the Earth System in the Athropocene, Proceedings of the National Academy of Sciences of the United States of America 115 (33): 8252-8259. Full reference: Rockstrom, J., K. Richardson, W. Steffen, G. Mace. 2018. Planetary Boundaries: Separating Fact from Fiction. A Response to Montoya et al., Trends in Ecology & Evolution 33 (4): 232-233. Full reference: Lade, S. J., J. F. Donges, I. Fetzer, J. M. Anderies, C. Beer, S. E. Cornell, T. Gasser, J. Norberg, K. Richardson, J. Rockström, W. Steffen. 2018. Analytically tractable climate-carbon cycle feedbacks under 21st century anthropogenic forcing, Earth System Dynamics 9 (2): 507-523. Full reference: Stoknes, Per & Rockström, Johan. (2018). Redefining green growth within planetary boundaries. Energy Research & Social Science. 2018. 10.1016/j.erss.2018.04.030. Full reference: Pretty, Jules & G. Benton, Tim & Pervez. Bharucha, Zareen & Dicks, Lynn & Flora, Cornelia & Charles J. Godfray, H & Goulson, Dave & E Hartley, Susan & Lampkin, Nic & Morris, Carol & Pierzynski, Gary & Vara Prasad, P.V. & Reganold, John & Rockstrom, Johan & Smith, Pete & Thorne, Peter & Wratten, Steve. (2018). Global Assessment of Agricultural System Redesign for Sustainable Intensification. Nature Sustainability. 1. 10.1038/s41893-018-0114-0. Full reference: Rockström, Johan. (2018). Managing the global commons. Our Planet. 2017. 26-27. 10.18356/7ea76f4a-en. Full reference: Rockström, Johan & Bai, Xuemei & deVries, Bert. (2018). Global sustainability: the challenge ahead. Global Sustainability. 1. 10.1017/sus.2018.8. Full reference: Donges, J., Winkelmann, R., Cornell, S. E., Lucht, W., Dyke, J. G., Rockström, J., Heitzig, J., Schellnhuber, H-J. 2017. Closing the loop: reconnecting human dynamics to Earth system science. Anthropocene Review 4 (2): 151-157. Full reference: Österblom, H., Jouffray, J.-B., Folke, C., Rockström, J. 2017. Emergence of a global science-business initiative for ocean stewardship. Proceedings of the National Academy of Science, USA. Full reference: Clift, R., S. Sim, H. King, J.L. Chenoweth, I. Christie, J. Clavreul, C. Mueller, L. Posthuma, A-M. Boulay, R. Chaplin-Kramer, J. Chatterton, F. DeClerck, A. Druckman, C. France, A. Franco, D. Gerten, M. Goedkoop, M.Z. Hauschild, M.A.J. Huijbregts, T. Koellner, E.F. Lambin, J. Lee, S. Mair, S. Marshall, M.S. McLachlan, L.M.I. Canals, C. Mitchell, E. Price, J. Rockström, J. Suckling, R. Murphy. 2017. The challenges of applying planetary boundaries as a basis for strategic decision-making in companies with global supply chains. Sustainability 9(2): 279. Full reference: Figueres, C., H.J. Schellnhuber, G. Whiteman, J. Rockström, A. Hobley, S. Rahmstorf. 2017. Three years to safeguard our climate. Nature 546: 593-595. Full reference: Scharin, H., S. Ericsdotter, M. Elliott, R.K. Turner, S. Niiranen, T. Blenckner, K. Hyytiäinen, L. Ahlvik, H. Ahtiainen, J. Artell, L. Hasselström, T. Söderqvist, J. Rockström. 2016. Processes for the sustainable stewardship of marine environments. Ecological Economics 128: 55 – 67. Full reference: Folke, C., R. Biggs, A. V. Norström, B. Reyers, and J. Rockström. 2016. Social-ecological resilience and biosphere-based sustainability science. Ecology and Society 21(3):41. Full reference: Dile, Y.T., Rockström, J., Karlberg, L., 2016. Suitability of Water Harvesting in the Upper Blue Nile Basin, Ethiopia: A First Step towards a Mesoscale Hydrological Modeling Framework. Adv. Meteorol. 2016, 12. Full reference: Rockström, J. 2015. A ‘perfect’ agreement in Paris is not essential. Nature 527: 411. Full reference: Rockström, J., T. Sterner, L. Zetterberg, M. Wråke. 2015. Sveriges koldioxiddebatt är en förebild. Svenska Dagbladet Debatt. 2015-12-29. Full reference: Rockström, J., P.O. Sjöö, P. Stoltz, A. Wijkman. 2015. Omställningen måste ses som en investering. Dagens Nyheter Debatt. 2015-07-02. Full reference: Rockström, J. and P. Bakker. 2015. We have a plan for our planet. Huffington Post. 2015-10-03. Full reference: Rockström, J. 2015. Nästa år går vi från ord till handling. Dagens Nyheter, Kultur. 2015-12-12. Full reference: Rockström, J. and J. Schellnhuber. 2015. The carbon budget for the rest of humanity's time on Earth. Huffington Post. 2015-12-04. Full reference: Rockström, J. 2015. Vi har ett ansvar mot omvärlden att ställa om. Expressen. 2015-11-30. Full reference: Rockström, J. 2015. Mötet är vår sista chans. Aftonbladet. Debatt, 2015-11-30. Full reference: Rockström, J. 2015. The planet’s future is in the balance. Guardian. 2015-11-14. Full reference: Rockström, J. 2015. Will some countries be 100% renewable by 2030? World Economic Forum. 2015-09-25. Full reference: Rockström, J. 2015. Leaving our children nothing. Project Syndicate. 2015-09-11. Full reference: Rockström, J. 2015. Arctic tipping points can ripple around the world. Huffington Post. 2015-09-14. Full reference: Rockström, J. 2015. Can the climate Pope save the planet? Huffington Post. 2015-06-22. Full reference: Rockström, J. 2015. The climate Pope. Project Syndicate. 2015-06-19. Full reference: Rockström, J. 2015. The catastrophe narratives for humanity are wrong: Here’s why. Huffington Post. 2015-05-13. Full reference: Rockström, J. and K. Raworth. 2015. Planetary boundaries and human prosperity. Project Syndicate. 2015-04-28. Full reference: Rockström, J. 2015. An Earth Year. Project Syndicate. 2015-04-22. Full reference: Rockström, J., M. Klum. 2015. Pushing Earth beyond its natural limits: In pictures. Guardian. 2015-04-14. Full reference: Rockström, J. 2015. We have three chances to change the world for the better in 2015. Guardian. 2015-04-14. Full reference: Rockström J., G. A. Stordalen, W. Willett. 2015. An American plate that is palatable for human and planetary health. Huffington Post. 2015-03-26. Full reference: Rockström, J. 2015. New hope to avert catastrophe. World Economic Forum. 2015-01-22. Full reference: Rockström, J. 2015. Nine ways to pull our planet back from the brink. World Economic Forum. 2015-01-19. Full reference: Kuylenstierna, J., J. Rockström. 2015. FN’s mål är universella. Svenska Dagbladet Debatt, Replik. 2015-08-24. Full reference: Kapoor, R., J. Rockström, K. Sall, F. Sijbesma. 2015. The long march to Paris. Project Syndicate. 2015-11-30. Full reference: Bjereld, U., H. Flam, B. Frank, P. Holmgren A. Jackelén, J. Kuylenstierna, A. Lindbeck, J. Rockström, A. Wijkman. 2015. Löfven måste ta ställning mot start av nya kolgruvor. Dagens Nyheter Debatt. 2015-11-24. Full reference: Berg, C., (ordf. Axel Johnson), T. Puusepp (koncernchef Elekta), H. Vestberg (koncernchef Ericsson), G. Mårder (vd Företagarna), K.-J. Persson (koncernchef H&M Group), P. Strömberg (vd ICA Gruppen), S. Gunolf (vd Indiska), L. Appelqvist (vd Löfbergs), S. Campbell (vd Ratos), P. Hallberg (koncernchef Scania), A. Falkengren (koncernchef SEB), S. Hansén (vd SPP), A. Ryott (vd Swedfund), M. Gerger (koncernchef Systembolaget), A. Kirkby (vd Tele2 Group), N. Gustafsson (Chief Sustainability Officer Volvo Group), C. Petri Gornitzka (Generaldirektör Sida), J. Kuylenstierna (Executive Director Stockholm Environment Institute), T. Holmgren (Executive Director Stockholm International Water Institute), J. Rockström (Director Stockholm Resilience Centre). 2015. Vi lovar göra miljön till kärnverksamhet. Dagens Industri Debatt. 2015-10-14. Full reference: Sutherland, W.J., M. Clout, M. Depledge, L.V. Dicks, J. Dinsdale, A.C. Entwistle, E. Fleishman, D.W. Gibbons, B. Keim, F.A. Lickorish, K.A. Monk, N. Ockendon, L.S. Peck, J. Pretty, J. Rockström, M.D. Spalding, F.H. Tonneijck, B.C. Wintle. 2015. A horizon scan of global conservation issues for 2015. Trends in Ecology and Evolution 30: 17–24. Full reference: Rockström, J., M. Falkenmark. 2015. Agriculture: Increase water harvesting in Africa. Nature 519: 283–285. Full reference: Hajer, M., M. Nilsson, K. Raworth, P. Bakker, F. Berkhout, Y. de Boer, J. Rockström, K. Ludwig, M. Kok. 2015. Beyond cockpit-ism: Four insights to enhance the transformative potential of the sustainable development goals. Sustainability 7: 1651–1660. Full reference: Rockström, J., M. Klum. 2015. Big World, Small Planet: Abundance within Planetary Boundaries. Bokförlaget Max Ström, Stockholm. Full reference: Demaio, A.R., J. Rockström. 2015. Human and planetary health: Towards a common language. The Lancet 386(10007): e36–e37. Full reference: Gerten, D., J. Rockström, J. Heinke, W. Steffen, K. Richardson, S. Cornell. 2015. 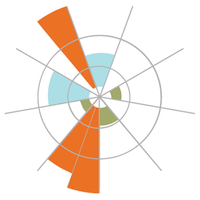 Response to comment on ‘planetary boundaries: Guiding human development on a changing planet’. Science 348(6240): 1217–d. Full reference: Österblom, H., J.-B. Jouffray, C. Folke, B. Crona, M. Troell, A. Merrie, J. Rockström. 2015. Transnational corporations as ‘keystone actors’ in marine ecosystems. PLoS ONE 10(5): e0127533. Full reference: Sutherland, W.J., R. Aveling, T.M. Brooks, M. Clout, L.V. Dicks, L. Fellman, E. Fleishman, D.W. Gibbons, B. Keim, F. Lickorish, K.A. Monk, D. Mortimer, L.S. Peck, J. Pretty, J. Rockström, J.P. Rodriguez, R.K. Smith, M.D. Spalding, F.H. Tonneijck, A.R. Watkinson. 2014. A horizon scan of global conservation issues for 2014. Trends in Ecology & Evolution 29(1): 15-22. Full reference: Griggs, D., M. Stafford Smith, J. Rockström, M. C. Öhman, O. Gaffney, G. Glaser, N. Kanie, I. Noble, W. Steffen, and P. Shyamsundar. 2014. An integrated framework for sustainable development goals. Ecology and Society 19(4): 49. Full reference: Gerst, M.D. ; Raskin, P.D. ; Rockström, J. Contours of a Resilient Global Future. Sustainability 6 (1), 123-135. Full reference: Garg, K., S. Wani, J. Barron, L. Karlberg, J. Rockström. 2014. Reply to comment on ‘Up-scaling potential impacts on water flows from agricultural water interventions: Opportunities and trade-offs in the Osman Sagar catchment, Musi sub-basin, India. Hydrological Processes 28(8): 3352-3355. Full reference: Rockström, J., M. Falkenmark, T. Allan, C. Folke, L. Gordon, A. Jägerskog, M. Kummu, M. Lannerstad, M. Meybeck, D. Molden, S. Postel, H. H. G. Savenije, U. Svedin, A. Turton, O. Varis. 2014. The unfolding water drama in the Anthropocene: Towards a resilience-based perspective on water for global sustainability. Ecohydrology 7(5): 1249-1261. Full reference: Rockström, J., M. Falkenmark, C. Folke, M. Lannerstad, J. Barron, E. Enfors, L. Gordon, J. Heinke, H. Hoff, C. Pahl-Wostl. 2014. Water Resilience for Human Prosperity. Cambridge University Press. Full reference: Bennett, E.M., S.R. Carpenter, L.J. Gordon, N. Ramankutty, P. Balvanera, B. Campbell, W. Cramer, J. Foley, C. Folke, L. Karlberg, J. Liu, H. Lotze-Campen, N.D. Mueller, G.D. Peterson, S. Polasky, J. Rockström, R.J. Scholes, and M. Spirenburg. 2014. Toward a more resilient agriculture. Solutions 5 (5):65-75. Full reference: Rockström, J, Steffen, W, Noone, K, Persson, Å, Chapin, FS, Lambin, EF, Lenton, TM, Scheffer, M, Folke, C, Joachim, H, Schnellhuber, Nykvist, B, de Wit, CA, Hughes, T, van der Leeuw, S, Rodhe, H, Sörlin, S, Snyder, PK, Costanza, R, Svedin, U, Falkenmark, M, Karlberg, L, Corell, RW, Fabry, VJ, Hansen, J, Walker, B, Liverman, D, Richardson, K, Crutzen, P & Foley, JK 2013, A safe operating space for humanity. in The Future of Nature: Documents of Global Change. Yale University Press, pp. 491-501. Full reference: Steffen, Will & Rockström, Johan & Kubiszewski, Ida & Costanza, Robert. (2013). Planetary boundaries: Using early warning signals for sustainable global governance. Globalisation, Economic Transition and the Environment: Forging a Path to Sustainable Development. 259-275. 10.4337/9781781951415.00021. Full reference: Garg, K.K., L. Karlberg, J. Barron, S.P. Wani and J. Rockström (2011). Assessing impacts of agricultural water interventions in the Kothapally watershed, Southern India. Hydrological Processes 26 (3). Full reference: Galaz, V., Cornell, S., Rockström, J., Persson, Å. 2012. Environment: Planetary boundaries concept is valuable. Nature, 486, 191-191. Full reference: Dent, D.L., Batjes, N.H., Hartemink, A.E., Lynden, G.W.J. Van, Asfary, A.F., Giri, C., Govil, K., Holmgren, P., Keita-Ouane, F., Navone, S., Olsson, L., Ponce-Hernandez, R., Rockström, J., Shepher, G. 2012 . Land, Chapter 3. In: United Nations (ed.) Global Environment Outlook 4 (GEO-4)- Environment for Development, United Nations, 81 – 114. Full reference: Full reference: Rockström, J., L. Karlberg and M. Falkenmark (2011). Global food production in a water-constrained world: exploring ‘green’ and ‘blue’ challenges and solutions. In: R.Q. Grafton and K. Hussey (eds.) Water resources planning and management. Cambridge University Press. ISBN 9780521762588. Pp. 131-151. Full reference: Folke, C., and J. Rockström. 2011. Editorial - 3rd Nobel Laureate Symposium on Global Sustainability: Transforming the World in an Era of Global Change. Ambio 40:717-718. Full reference: Steffen, W., J. Rockström and R. Costanza (2011). How defining planetary boundaries can transform our approach to growth. Solutions, 2(3). Full reference: Wani, S.P., J. Rockström and K.L. Sahrawat (eds.) (2011). Integrated Watershed Management in Rainfed Agriculture. CRC Press. ISBN 9780415882774. Full reference: Enfors, E., J. Barron, H. Makurira, J. Rockström and S. Tumbo (2010). Yield and soil system changes from conservation tillage in dryland farming: A case study from North Eastern Tanzania. Agricultural Water Management 98 (11): 1687-1695. Full reference: Deutsch, L., Falkenmark, M., Gordon, L.J., Rockström, J., Folke, C. Water-mediated ecological consequences of intensive livestock production. Chapter in: Livestock in a Changing Landscape: Drivers, Consequences and Responses. H. Steinfeld, H. Mooney, F. Schneider (eds.). Livestock, Environment and Development Initiative — LEAD at FAO, SCOPE program on Consequences of Industrialized Animal Production Systems, and the Swiss College of Agriculture. Full reference: Dile, Y., L. Karlberg and J. Rockström (2010). Identifying Suitable Areas for Water Harvesting in the Upper Blue Nile Basin, Ethiopia. 13th SearNET International Conference: Rainwater Harvesting as a means of Adaptation to the challenges of climate change, Awassa, Ethiopia, 12-16 July. Full reference: Rockström, J., K. Vohland, W. Lucht, H. Lotze-Campen, E.U. von Weizsäcker and T. Banuri (2010). Making progress within and beyond borders. In: H.J. Schellnhuber et al. (eds.) Global sustainability: a Nobel cause. Cambridge University Press. ISBN 9780521769341. Pp. 33-48. Full reference: Rockström, J. and Karlberg, L., 2010: The Quadruple Squeeze: Defining the safe operating space for freshwater use to achieve a triply green revolution in the Anthropocene. Synthesis: How far can rainfed agriculture go in securing food in 2025? Full reference: de Fraiture, C., Karlberg, L., Rockström, J. (2009). Synthesis: How far can rain-fed agriculture go in securing food in 2025? In Rainfed Agriculture – Unlocking the Potential. S. Wani, J. Rockström, T. Oweis, T. (eds.). Comprehensive Assessment of Water Management in Agriculture. Series Vol. 7. CABI Publication, Wallingford, UK. Full reference: Falkenmark, M., Rockström, J., Karlberg, L., (2009). Present and future water requirements for feeding humanity. Food Security 1: 59-69. Full reference: Karlberg, L., Rockström, J., (2009). Global freshwater resources. In Fisheries, Sustainability and Development. Royal Swedish Academy of Agriculture and Forestry. Stockholm, Sweden. pp 123-132. Full reference: Hoff, H., Falkenmark, M., Gerten, D., Gordon, L., Karlberg, L., Rockström, J. (2009). Greening the global water system. Journal of Hydrology. Full reference: Rockström, J., Wani, S.P., Hatibu, N., Oweis, T., Karlberg, L., Barron, J., Bruggeman, A., Farahani, J., Qiang, Z., 2008, Unlocking the Potential of Rainfed Agriculture; The Need for a Paradigm Shift in Water Resource Management. Agricultural Water Management. Full reference: Karlberg, L., Barron, J., Rockström, J., 2008, Water productivity and green water management in agro-ecosystems. In: Förare, J. (Ed.) Water for Food. FORMAS, 136 pp. Full reference: Rockström, J., Steffen, W., Noone, K., Folke, C., Sörlin, S., Broman, D., Svedin, U., Persson, Å., Nykvist, B. and Karlberg, L.,, 2008, Steering away from catastrophic thresholds: Planetary boundaries for human survival. Background paper for the Tällberg Pre-Forum Workshop, 24-26th of June 2008. Full reference: Rockström, J., P. Kaumbutho, J. Mwalley, A.W. Nzabi, M. Temesgen, L. Mawenya, J. Barron, J. Mutua, S. Damgaard-Larsen. B). Conservation Farming Strategies in East and Southern Africa : Yields and Rain Water Productivity from On-Farm Action Research. Soil & Tillage Research. Full reference: de Fraturier C., D. Wichelns, J. Rockström, E. Kemp-Benedict, N. Eriyagama, L.J. Gordon, M.A. Hanjra, J. Hoogeveen, A. Huber-Lee and L. Karlberg. 2007. Looking Ahead to 2050: Scenarios of Alternative Investment Approaches. In. Molden D. (editor) Water for Food, Water for Life: A Comprehensive Assessment of Water Management in Agriculture. pp. 91-145. Earthscan, London. Full reference: Rockström, J., N. Hatibu, T. Oweis, S. Wani, J. Barron, A. Bruggeman, Z. Qiang, J. Farahani and L. Karlberg. 2007. Managing Water in Rainfed Agriculture. In. Molden D. (editor) Water for Food, Water for Life: A Comprehensive Assessment of Water Management in Agriculture. Chapter 9: 315-348. Earthscan, London. Full reference: Ekman, B., C. Folke, C. Mossfeldt and J. Rockström. 2007. Vår Tids Största Utmaning. Svenska Dagbladet Brännpunkt. 2007-06-28. Full reference: Rethinking Water Management: Innovative Approaches to Contemporary Issues. 2003. Edited By Caroline Figuères, Johan Rockström and Cecilia Tortajada. Earthscan Publications, London. Full reference: Rockström, J. 2001. Green water security for the food makers of tomorrow: windows of opportunity in drought-prone savannahs. Water Sci Technol. 43(4):71-8.